Paul Lazarus answers questions with moderator Edison Santos at Pontificia Universidad Catolica Madre Y Maestra (PUCMM) in the Dominican Republic. SlingShot screens at Pontificia Universidad Catolica Madre Y Maestra (PUCMM) in the Dominican Republic. Paul Goris from Funglode, Marie-Ange Magloire, Translator and Paul Lazarus at ITLA . 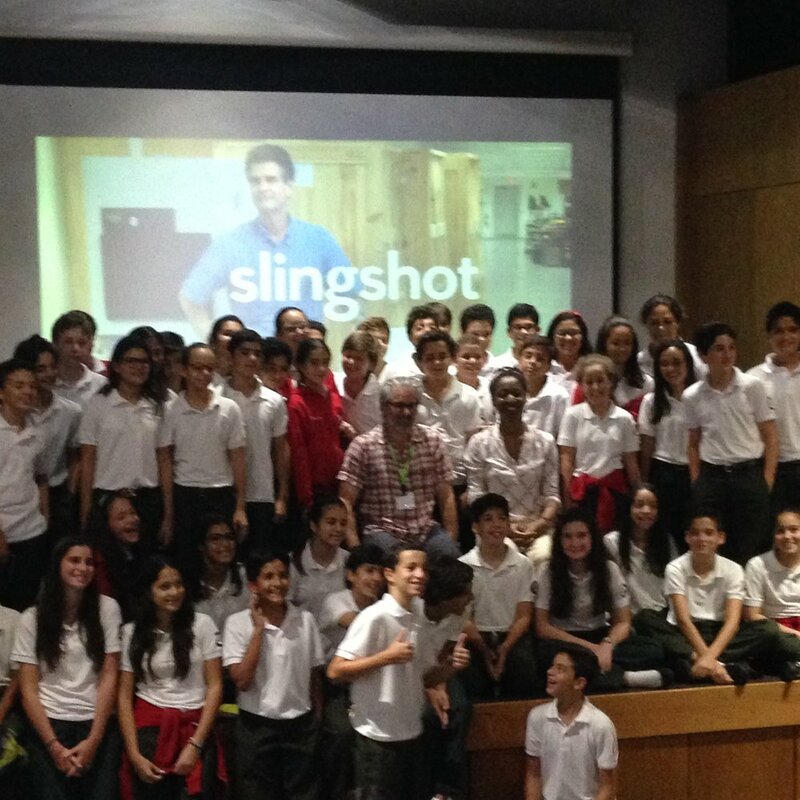 ITLA students about to watch SlingShot (subtitled in Spanish) in the Dominican Republic. Director Paul Lazarus answers questions at the Colonial Gate Theater in the Dominican Republic. SlingShot screens at the new Colonial Gate theater in Santo Domingo’s Colonial Zone. Part of the Dominican Republic Environmental Film Festival (DREFF). Q & A at the Instituto Tecnologico Las Americas (ITLA). Part of the Dominican Republic Environmental Film Festival (DREFF). Dinner at the Dominican Republic Film Commission. SlingShot screens at ITLA as part of the Dominican Republic Environmental Film Festival (DREFF). 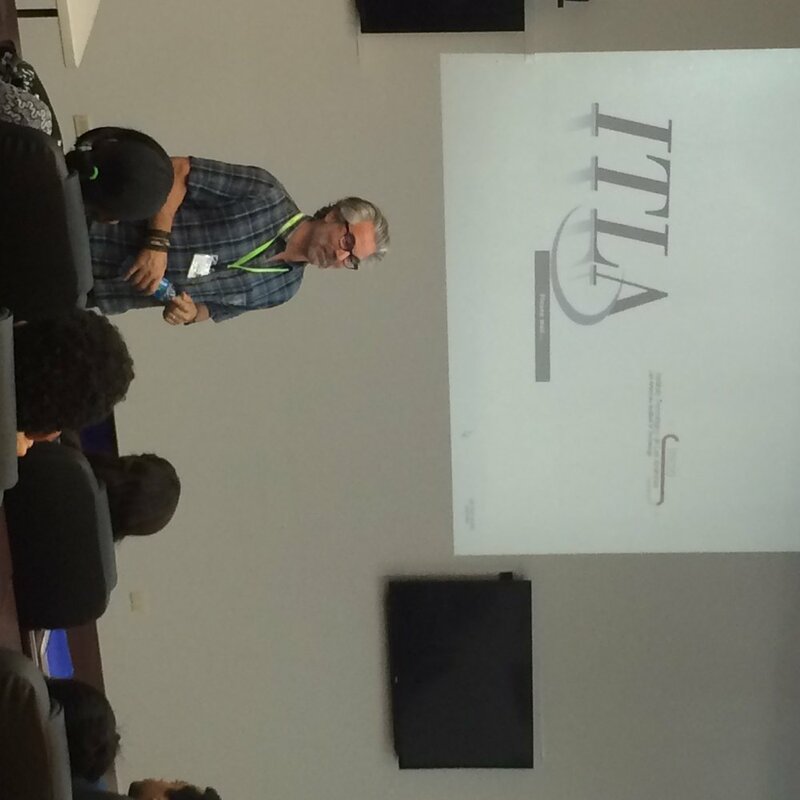 Q & A at ITLA in the Dominican Republic. SlingShot screens at UNIBE, Universidad Iberioamericana, as part of the Dominican Republic Environmental Film Festival (DREFF). Translator, Marie-Ange Magloire.